I weighed in at 123, dropping 2 pounds this week. 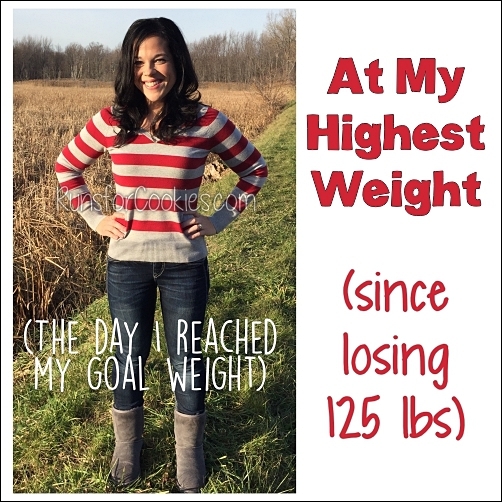 That makes a total of 130 pounds lost, which is just so crazy to me! My average calorie intake was 1,737 per day. If you had told me that my weight would EVER get this low, I would have said you were being ridiculous. When I set 133 as my goal weight, I always imagined that losing much more than that would make me look too thin, because I just couldn't picture it. Seeing how I look now, though, I don't think I look bad at this weight at all. Would I still be happy at 133? Of course. I just have a huge cushion to fall back on now, if I should indulge a little too much. This week, I'm going to try to get in more calories, either by having a second high-calorie day, or just eating a little more here and there. Being on maintenance this time around feels entirely different than when I was on Weight Watchers. Back then (2013), I alway felt like I was just holding on by the skin of my teeth not to gain weight each week. I felt like I was constantly on edge, and one little slip would send me right over the side. This time, I am not being rigid with "rules" or anything like that, and I don't feel at all deprived. I don't feel that eating too much one day is going to send me into a tailspin. This is the most confident I've ever felt about losing/maintaining weight. 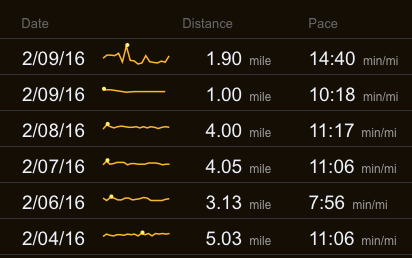 As far as my running goes, I felt much better this week by cutting back on the mileage. I ran 19.11 miles this week. (I didn't run twice yesterday, I just accidentally split up the warm-up from the intervals that I did, so it looks like to separate runs.) 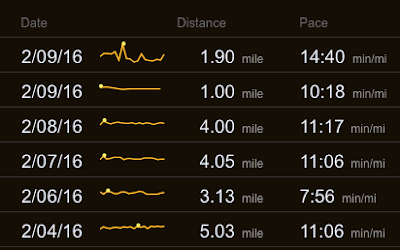 The pace for the intervals I did yesterday includes several minutes of total rest between intervals. Getting in 7,000+ steps per day for at least 6 days: I did 6 out of 7 days. Staying binge-free: Still going strong! Today is Day 190. Trying at least 1 new recipe: This week, I made Baked Spaghetti, which I wrote about yesterday. Do you think the lower heart rate training may be a factor as well? I love your balanced approach to food, it's nice to see someone truly discover what works for them! Monica, I was thinking the exact same thing about the lower heart rate training. I'm not sure if it's a factor, but it is something that I hadn't done before, so maybe it is? 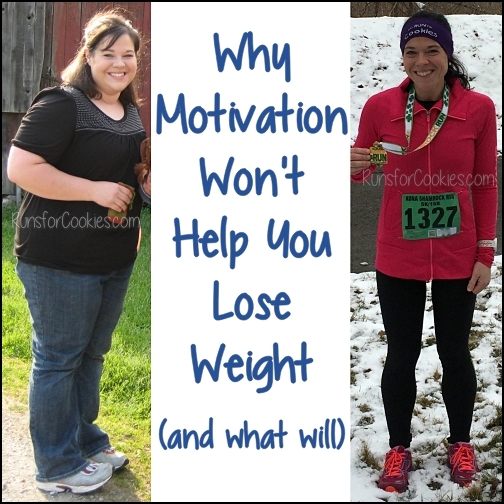 I'm also interested if you think your current running plan is assisting your weight loss. I was in the best shape of my life when I was training for a 10k. When I started training for a half marathon and then marathon k started really struggling to keep weight off. 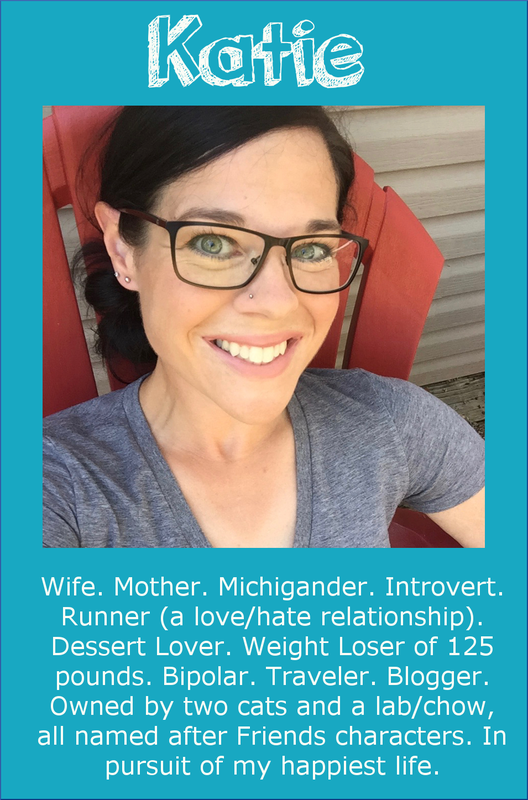 It felt like (FELT like, obviously I have no evidence) that my body responded to the extra miles by hanging on to fat. 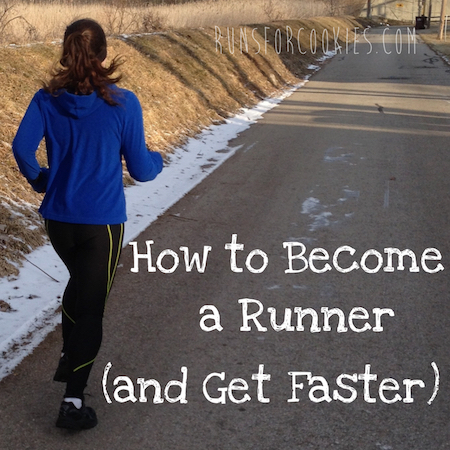 I'm really intrigued to see you losing weight while running slower and shorter! Maybe I should be doing this!! Way to go!! Coming from someone who lost 60 lbs after my last baby and is now at 133, I'm really curious to see the difference in how you look at 123 :) I need to be a little more strict in my diet and I'm guessing I will drop into the 120's soon. Would love it if you posted a picture!! Your happiness in maintenance simply exudes through your posts, too! You sound so happy and content with life right now (minus the online debacle--so not fun). Just fantastic, well done Katie :) You're doing so well, & it's so great to read about it. Katie, You look great! I'm actually not surprised you're still losing on the amount you're eating. I weigh about the same as you do now, and although I don't specifically count calories, I probably eat between 2,000 and 2500 a day and are about as active as you are. Keep up the good work! That's interesting! I thought for sure that to get to this weight, I'd have to cut calories down to 1200-1400 a day (something that I was NOT willing to do). I had no idea I'd be able to eat this many calories and still lose weight! Wow! I can't even begin to tell you how motivating this is! Also, I took your words to heart yesterday about Jerry and his doughnuts and how the guilt makes everything WAY worse. My husband wanted to go to custard the other day and in the past, I would have tormented myself but either starving myself all day or just beating myself up when I got home. But I took a deep breath and planned my entire day out, including the custard (that was NOT low in calories, believe me!!) and I enjoyed every single bite. And I stepped on the scale this morning down a pound!! I can hardly believe it!! I just know I have what it takes this time, thank you so much for your wise and inspiring words!! Great job!! Maybe because you are working out consistently again its dropping? Or maybe your new medicine? I was curious if maybe it has to do with my slower training. I'm certainly eating more calories now than I did on Weight Watchers, but the weight is dropping faster. On WW, I was eating a lot of "diet" foods (low fat or low calorie stuff); while calorie counting, I am eating the full fat versions of foods, and enjoying it so much more. I think that has been key, too. You're doing so awesome!!! I am still so bummed by how much I've gained in the month and a half since my wedding when I hit my goal weight, but I'm trying to be chill about it. It gives me encouragement that you've been there with the re-gain and are doing so well now. Keep it up! You are doing awesome Katie! If you are feeling satisfied with what you are eating and still losing weight, all the better! Your body knows what weight it wants to be and where it feels good at with you feeling satisfied. Just keep doing what you are doing..it's awesome! Congrats! I'd love to see a comparison photos of you at 133 and 123. I wonder what those 10 lbs look like now that's you're so tiny! Ugh, me too!! But, I'm working on it!! You have inspired me to count calories! I started counting calories around mid November and so far I have lost 20 lbs with it and gained so much confidence in myself. 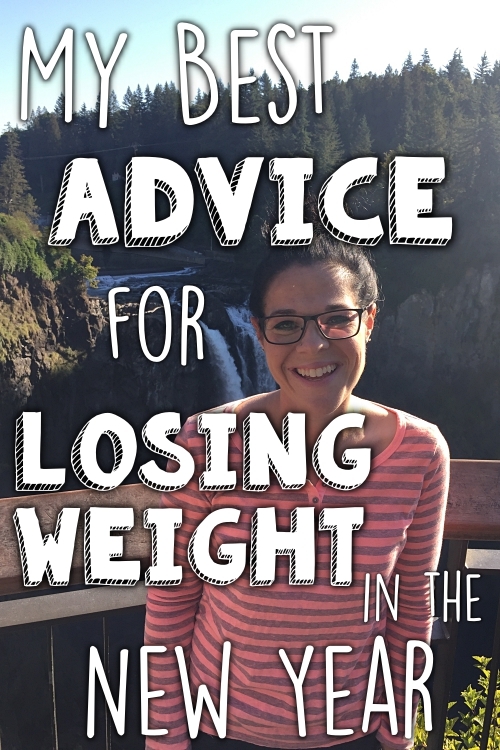 Losing weight it really hard for me because I struggle with hypothyroidism, so I am really glad to have found your blog and seen your success in calorie counting and decided to start it as well! I've tried other diet and nutrition plans but nothing seems to work as well and I still get to enjoy food I love just at smaller portions. I also wanted to say keep up the good work and thanks for sharing your weightloss and running journey, you are truly an inspiration! That is so crazy!!!! 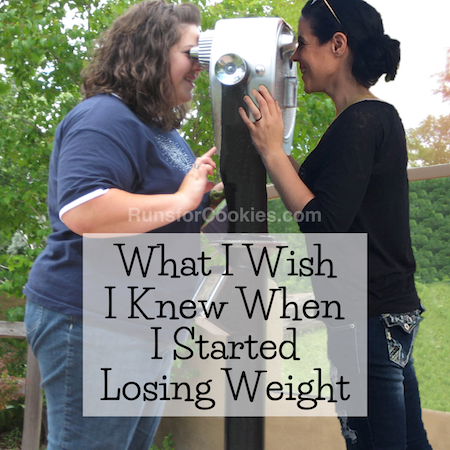 The number of calories you're intaking and the fact you're still losing weight is insane. I would say I am jealous except I am still sort of experiencing the same thing. Not weight loss, but maintenance. My weight was holding really steady at 143 without change regardless of what I had been eating- up to 2100 calories!!! Until I started my period this week. I am curious to see if it will swing back down when it's over. I really want to hit 133 because that would be 100 pounds. Something I thought was totally unattainable, but looking at my body, I think that might be a healthy weight for me anyway. My gut is huge in comparison to the rest of me. And it ain't skin. You are awesome! I am struggling right now to drop the lbs. I'm 190 and am most comfortable at 115 on my small frame. The weight has creeped on after 9 years without much exercise, depression and baby. And I'm ready to get rid of it! Started walking/running consistently and tracking calories a few weeks ago and haven't seen the scale drop at all. I'm sticking within 1200-1700 calories but it's not moving. Any tips? Right now I'm building up but doing about 8-10 miles a week.